For a huge variety of well justified reasons, Dr. Henry Kissinger is believed by millions to be one of the single most evil individuals still living, or to have ever lived. The problem with considering Dr. Kissenger as "evil" is that inside of each of us there is a little Dr. Kissinger that lacked the nourishment to reach the heights of satanic fruition that Dr. Kissinger has reached. Literally, Kissinger is no better than Hitler, it is a great lack of perspective that one must employee to envision Henry Kissinger as the more moral man than A. Hitler. The ideals of Dr. Kissinger are every bit as lethal, but to different demographics of person. Like his lieutenant and subordinate in the New World Order, B.H. Obama, Kissinger won the Nobel Peace prize - clear indication of an Orwellian world controlled by oligarchy propaganda. Any sensible man now regards the Nobel Prize for peace as the most hideous badge of murder - the mark of a satanic revelry in intent of the gravest order for humanity. Notions set forth by Dr. Kissinger include the idea that the elderly are useless eaters - that is Nobel Prize "peace," and Dr. Kissinger is now elderly, and he still eats. 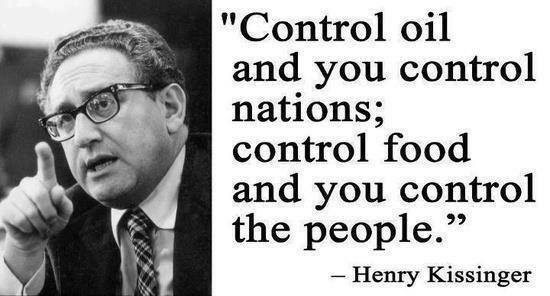 Dr. Henry Kissinger - The Original Dr. Evil. "Power is the ultimate aphrodisiac." - From the book The Final Days. Now good sir, Dr. Kissinger, do you indeed have no honor? Sir? 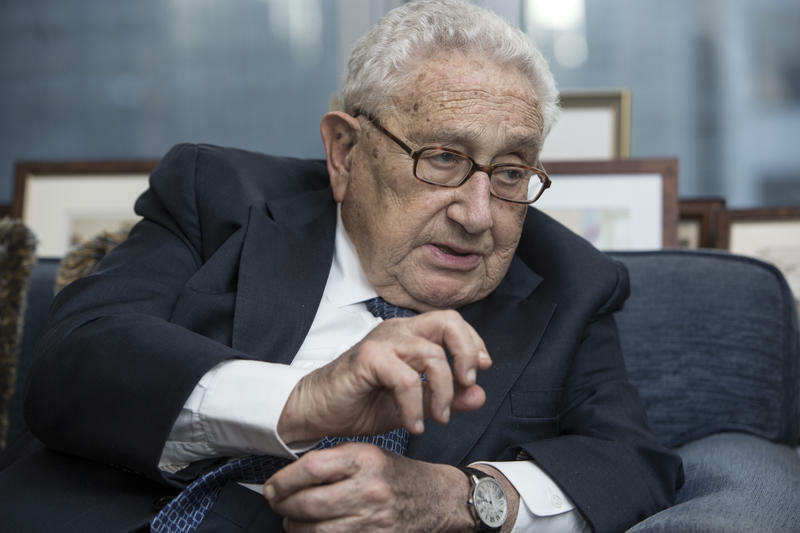 Born as Heinz Alfred Kissinger in Bavaria, Germany in 1923 to a traditional German Jewish family, Henry's father was a schoolteacher, and surely that was a major part of him becoming a bit of an academic. Kissinger wasn't the family's surname originally, but had been adopted many years before, in 1817 by Henry's great great grandmother. The Kissingers could see and feel the turbulent political weather in Germany during the 1930s, and in 1938 they wisely moved to New York City. Henry adopted the culture of the USA readily and quickly, but to hear Dr. Kissinger speak is to realize that he never lost his Frankish German accent. Do you see how clean cut our Dr. Kissinger is in the photo up above? Well, when Henry got out of high school he promptly went to college, and he worked part time in an old fashioned shave brush factory to help pay his bills. Henry excelled academically and enjoyed working part time too. At the City College Of New York he studied accounting, but his studies were interrupted when he was drafted into the army in 1943. In the army the future Dr. Kissinger would meet another very talented German immigrant named Fritz Kraemer, and because both of them were very fluent in German, their talents were in great demand. Henry was no coward, he'd volunteered for hazardous duty and got it during the Battle Of The Bulge. As the allied forces advanced into the German heartland, Henry Kissinger brilliantly arranged and organized German civilians, was promoted quickly to Sergeant, and set to tracking down Gestapo officers and other saboteurs, for his efforts, he was awarded the Bronze Star. Soon young Henry would take on more and more authority - helping to De Nazify assigned districts of captured Western Germany. Following his very worthy and appreciated service in the second world war, Henry Kissinger returned to the US and put his mind to books, he studied at Harvard College, and in 1954 was awarded his Ph.D from Harvard University. Henry would then remain with Harvard University as a member of the faculty, and his primary manner of influence was in government and international affairs. As an Ivy League staff, one has tremendous sway with government, as universities such as Harvard are practically part of the federal government of the USA. Henry was on his way to becoming the ultimate globalist philosopher - the kind of man that ultimately is an anti Patriot, a hater of the rights and the culture of the nation that so easily and lovingly adopted his family when they fled the Nazis. 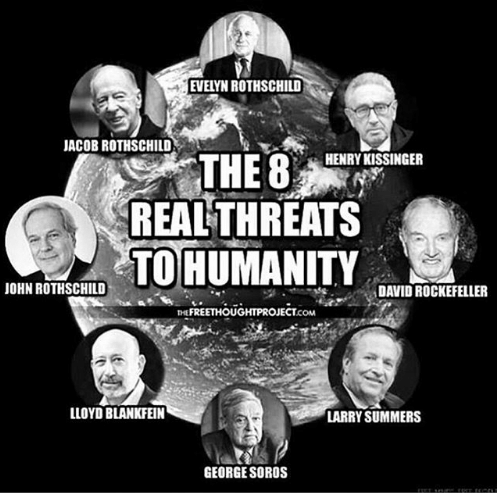 Just like George Soros betrayed the United Kingdom for billions, Henry Kissinger would betray the citizens of the USA in favour of the New World Order. Eager to influence US Foreign policy in such a manner as to destroy the United States from within, Henry Kissinger would team up with like minded anti American Americans such as Nelson Rockefeller, then Governor of New York. From the influence with the governor of one of the nation's most populace and wealthy states, Kissinger would then leap into the least credible or honest presidential administration in US history, and Richard Nixon must have surely saw a kindred spirit in Henry - he made him National Security Advisor in 1969. Soon Henry Kissinger was Secretary Of State, and after Nixon was humiliated publicly, Henry Kissinger would remain as Secretary Of State under Gerald Ford. Henry Kissinger - The Anti American. From 1969 to 1977 Henry Kissinger was perhaps the single most dominant individual in United States foreign policy, and he did orchestrate some nice man oeuvres in regards to dealing with the gigantic beasts of Soviet Russia and Communist China. Henry had no part in starting the war in Vietnam, but he did make grand efforts to end it, and for that he was awarded the Nobel Peace Prize, despite his orchestrated cease fire being largely ineffective - I suppose he could have had intentions that it were. As National Security Advisor, in 1974 Kissinger directed the much-debated National Security Study Memorandum 200. - and this is a document and/or plan that was anything BUT peaceful. If you study the no longer classified document, you'll find the policies of Nobel "peace" prize winner Kissinger anything but peaceful, but rather the more cold and deterministic towards protecting the wealthy with their wealth, as the ultimate goal has always been a global governance ran by the super wealthy oligarchs that Kissinger admires so much. "The U.S. economy will require large and increasing amounts of minerals from abroad, especially from less developed countries [see National Commission on Materials Policy, Towards a National Materials Policy: Basic Data and Issues, April 1972]. That fact gives the U.S. enhanced interest in the political, economic, and social stability of the supplying countries. Wherever a lessening of population pressures through reduced birth rates can increase the prospects for such stability, population policy becomes relevant to resource supplies and to the economic interests of the United States. . . . The location of known reserves of higher grade ores of most minerals favors increasing dependence of all industrialized regions on imports from less developed countries. The real problems of mineral supplies lie, not in basic physical sufficiency, but in the politico-economic issues of access, terms for exploration and exploitation, and division of the benefits among producers, consumers, and host country governments" [Chapter III-Minerals and Fuel]. That statement is merely a statement, and of course scores of persons say a thing and then their actions show another ideology altogether, but it is a very interesting statement in light of the fact that Dr. Kissinger's deeds seem to have forever been pro Israel while at the same time being anti American. Perhaps Dr. Kissinger made that very cold statement in light of Richard Nixon's handling of the US policy towards Israel. Nixon had forbade anyone Jewish from being involved in the US policy towards Israel, or perhaps Kissinger is truly that cold hearted. Henry Kissinger and his political philosophy affected not just Israel, but the entire globe, often mass murder and subversion of democratically elected governments was the order of the day, and though Henry Kissinger is no longer an active member of our official federal government, Henry lives on, as an elderly man that eats despite believing or stating that the elderly are useless eaters. His globe expanding vision of subversive machinations in favour of oligarchy have made him infamous, and synonymous with evil. The world is a fickle world, and the wealthy have their way always with misinformed persons in the populace. Exploitation and subversion for oligarchy was long the ways and means of these United States under the influence of Kissinger - but today, the circle is complete, and the peoples of the USA are reaping their own harvest for being so blind, and today the people's of the USA are being exploited in the exact ways prescribed a couple decades ago by the tremendous Dr. Henry Kissinger. 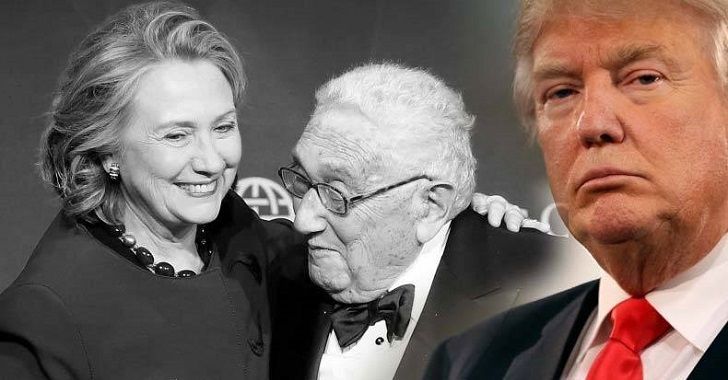 The last photo of Henry Kissinger with Hillary Clinton and Donald Trump was taken during the election time. Then Kissinger suddenly seemed to change sides and spoke very highly of Trump. Someone also filmed a heavily guarded secret Trump visit to Kissinger´s house one evening. Explains Trumps later Israel-friendly attitude. Wonder what deal they made?